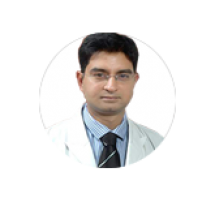 Dr. Sood has immense experience as a Hematopathologist in treating all types of Cancer patients in leading centers in Gurgaon. As a Professor of Medical Oncology, he is a specialist of blood and blood-related disorders including leukemia, myelodysplastic syndromes, lymphomas, multiple myeloma, amyloidosis, bone marrow/ stem cell transplant, bleeding and clotting disorders, thalassaemias and sickle cell anemia, aplastic anemia, complicated anemias amongst others. Dr. Sood finished his MBBS in 1998 from Mysore University. Post his entry-level position from Safdarjang Hospital he joined the MD Medicine program at Delhi University. He finished both MD General Medicine and DNB Internal Medicine in the year 2002. He has over 20 years of experience of satisfied patients in his field. Dr. Sood, after doing a year of senior residency in General Medicine from Safdarjang Hospital moved to the UK to train in Clinical Hematology. He has been a part of various medical organizations in the UK and has been the recipient of many awards in the field of hematology and oncology. He has been awarded First Prize by British Society of Haematology 2009.